Our plumbers in Batley have a vast amount of experience and are trusted around the West Yorkshire area. Our highly qualified professionals will treat your property with respect, and you will find that all of our plumbers are friendly, reliable, trustworthy, clean and tidy. We are competitive on price and guarantee not to beat on any genuine quote. Plumbing emergencies can occur at any time and will not wait for anyone, they need urgent attention from a plumbing professional. Union plumbing understand the urgency of a plumbing emergency, that’s why we provide a 24 hour call-out service 7 days a week, all year round. 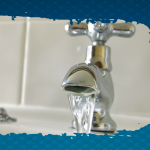 If you urgently need a plumber then just give us a call and we will have one of our expert plumbers come to assist you as fast as we can wherever you are in the Bately area. We are happy to tell you that Union Plumbing have fully qualified gas safe registered engineers ready and waiting to assist you. We are qualified to install, repair and maintain all residential and commercial gas appliances In the case of a gas emergency give us a call and one of our engineers will be at your service in record time! We prioritize emergencies and we will get to you faster than anyone else in the Batley area. Only gas safe registered engineers can legally carry out work on your home’s gas powered appliances. Any maintenance, repairs and installations must only be done by a gas safe registered engineer, it is against the law for anyone else to carry out gas work. Gas safety Faulty gas appliances can be a serious health hazard, Union have put together some of the ways you can protect yourself from the dangers of carbon monoxide poisoning. Have your gas appliances serviced by a gas safe registered engineer annually and get to know the warning signs! If you see yellow flames or black stains on your gas appliances then this is a sure sign that something is wrong and having carbon monoxide alarms fitted in your home is a good idea. Watch out for signs of carbon monoxide exposure, if you find yourself experiencing any of the following symptoms on a frequent basis then you could be suffering from carbon monoxide poisoning, dizziness, headaches, nausea, loss of coordination, breathlessness and vomiting. bathroom and kitchen fitters are true perfectionist and we aim to install your appliances the right way, the first time round. So if you are looking for the perfect bathroom or kitchen installation then you should come to us! We believe we provide the best service at the best prices in the Batley area. All of our engineers are trained to the highest standards and gas safe registered so they are fully qualified and ready to install any of your heater systems and kitchen gas appliances. We have everything covered and our prices are unbeatable so call us for the perfect bathroom or kitchen installation. We provide the best quality maintenance and repair service in the Batley area. if any of your kitchen or bathroom appliances break down, just give us a call and we will send one of our friendly plumbers to your assistance. After we have serviced your appliances you will be given a card which is a gas safety record. This lists what work has been carried out along with the date of exactly when it was done. This will inform you of when your gas appliances need to be serviced again.